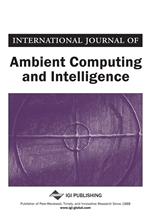 The authors consider two untackled problems in RF-based activity recognition: the distinction of simultaneously conducted activities of individuals and the recognition of gestures from purely time-domain-based features. Recognition is based on a single antenna system. This is important for the application in end-user devices which are usually single-antenna systems and have seldom access to more sophisticated, e.g. frequency-based features. In case studies with software defined radio nodes utilised in an active, device-free activity recognition (DFAR) system, the authors observe a good recognition accuracy for the detection of multiple simultaneously conducted activities with two and more receive devices. Four gestures and two baseline situations are distinguished with good accuracy in a second case study. All features are extracted from the time domain of a received signal since contemporary end-user devices are not applicable of deriving more sophisticated, such as frequency domain features. We employ USRP (http://www.ettus.com) software defined radio (SDR) devices placed in an environment for an active device-free activity recognition system. With such RF-sensing capabilities, a seamless integration of pro-active systems in smart environments becomes possible. For instance (See Figure 1), consider touch-free interaction or the recognition of activities from possibly multiple persons in a smart environment. This article is an extended version of our work published in (Sigg, Shi, & Ji, 2013). We add a comprehensive discussion of related work, further details on the simultaneous recognition of multiple activities (in particular adding precision and recall for all results) and a complete novel study on the recognition of gestures from time-domain features.